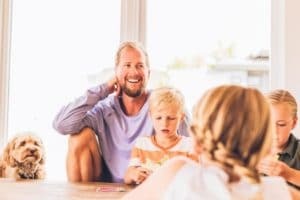 As a previous au pair with experience in the home-based childcare recruitment industry, it became clear that the standard screening and assessments of candidates is not sufficient. What is needed is a way to find a personality “fit” between families and their au pairs in order to ensure stability in the family and longevity of the working relationship. Thus, along with background, reference checks and personal interviews, au pairs will be asked to complete a recognized Personality Assessment in order to identify traits and allow optimal placement. © 2019 JoziCares.co.za All rights reserved.